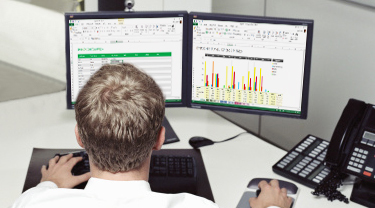 This week we continue exploring new features in Excel 2013. This post is brought to you by Chad Rothschiller, a Program Manager in the Excel Team. “How do I open my workbooks in separate windows?” This has been a common inquiry from many of our customers who want to look at their workbooks side by side, or spread them across more than one monitor. 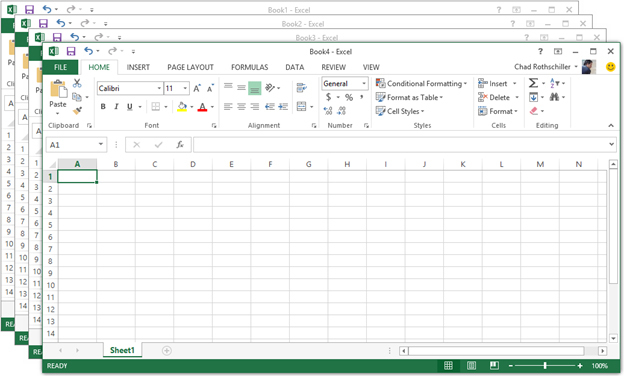 Good news: starting with Excel 2013, each of your workbooks opens in its own window, similar to Word and PowerPoint today. That means that each workbook has its own ribbon and top-level window frame that you can move and resize independent from your other open workbooks. This functionality can improve multitasking, visibility, and analysis across workbooks. In computing terminology, this is called Single Document Interface (SDI). Versions of Excel before the 2013 release used Multiple Document Interface (MDI), where all workbook windows were contained within a top-level “master” container window. 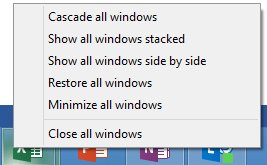 Windows Taskbar: If you hold down the Shift Key and then right click the Excel icon on the Windows Task Bar you will see options for arranging your open windows. The cool thing about these options is that if you have multiple monitors, Windows remembers each workbook’s monitor and arranges workbooks displayed within the same monitor. 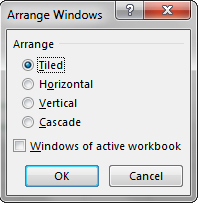 Note that you can still create new windows (or multiple windows) showing the same workbook. Similarly, the “View Side by Side” and “Synchronous Scrolling” features work just like they used to. 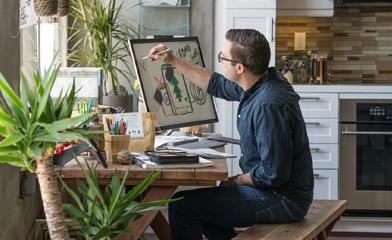 Thanks for learning more about this new feature in Excel 2013. I hope you all get wonderful benefits from being able to arrange workbooks on your screens! In a future post, we’ll go into a couple more advanced topics such as “Merging Instances and Long Running Operations” and how they work with pre-existing add-ins. In the meantime, let us know in the comments how you’re planning to use this new feature or anything else you’d like to see in future versions.